Cars are convenient, essential parts of daily life that enable us to get to work, buy our groceries and pick our kids up from soccer practice. But we're so used to driving our cars that we can often forget that they can be dangerous too. Safe driving is a habit that should be instilled in every single driver, especially the younger ones. Fortunately, it's just a matter of practicing a few basic habits to make sure that your next road trip is as safe as it is fun. This may sound like a no-brainer, but the most important thing you can do to encourage safe driving is keep your awareness tuned to your car and what's going on around you in the road. If this sounds redundant, it's because it hasn't entirely sunk in for many drivers – a government survey from the U.S. Department of Transportation found that over 3,000 driver deaths and over 400,000 driver injuries in 2012 were caused by driver distractions. The most common culprit when it comes to distracting drivers? You guessed it – cellphones. Of course, drivers without phones aren't immune from distraction. Before you go to change your radio station or use your electric shaver on your way to the office, stop and think about whether or not you should wait until you're stopped – the answer is almost always yes. A big part of safety behind the wheel is making sure that everything is in properly maintained and in working order, and that people make use of a car's safety features. Buckling up is a habit that gets force-fed to every single driver from childhood, and it's for good reason. The Centers for Disease Control and Prevention shared that seatbelts can reduce accident-related injury and death by up to 50 percent. Also make sure to keep your eye on a few key systems of your car, namely your tires and your fuel gauge. Blown-out or underinflated tires can create a serious hazard in the form of poor traction and loss of control, while driving on fumes does your car no favors either. Not only do you risk getting stranded, but the dregs of your gas tank are swimming with impurities from your gasoline that get pumped right into your engine when it's empty, which can seriously impact performance. If your car is in need of a checkup, make an appointment with NJ State Auto Auction's Total Car Care Center. The skilled mechanics on staff will help identify and fix any problems that may be holding your car back. You may not know this, but not all used cars are created equal. When shopping for your next ride, there are important considerations you should keep in mind to avoid having to make lemonade from an undesirable lemon. One of the most important things to follow when you're on the market is this: certified above all else. Like houses, appliances and even some professionals, certification carries with it a mark of quality that can be looked to as a guiding light when making purchasing decisions, and if you're looking to buy, it's worth your time and money to gain a better understanding of what that means exactly. The first question you may have is, what exactly is a certified used car and how does it differ from the standard garden variety? According to the Department of Motor Vehicles, certified used cars are those that have undergone a thorough inspection and are backed by an extended manufacturer's warranty. Another important feature of certified cars is that, in general, a manufacturer won't certify a car that's older than five years, or one that has been in a serious accident or had extensive work done to it. This can serve as built-in peace of mind for many people wary of buying a used car. Not all used car certifications come directly from the manufacturer. In recent years, third-party car verification services, the most popular of which is Carfax, have arisen to offer added assistance and guidance for car shoppers. Carfax is an extremely valuable service, as it can provide you with a vehicle history report outlining previous transactions and, most importantly, repair history. Accidents and repair problems are listed in the Carfax report, offering a useful snapshot of the condition of a used car. Such a service can be useful not just in assessing cars, but dealers as well. A high number of Carfax-certified vehicles can serve as the mark of a reputable dealer for those not in the know, which is an invaluable guidepost for those who are not experienced in navigating the often-confusing used car market. For a wide selection of Carfax-certified cars, head to NJ State Auto Auction. There are hundreds of high-quality used cars on the lot, and an in-house finance team dedicated to helping you afford the used car, truck or van of your dreams. When it comes to cars and driving, people tend to do everything they can to drive safely so they can protect themselves and their family and reduce costly repairs. However, some drivers may find it more difficult to reduce or fully eliminate risks behind the wheel. Data has found that obese drivers tend to face more driving-related difficulties. Not only may they encounter trouble when it comes to shopping for cars, but they also may find themselves at greater risk of injury in the event of an accident. People who are shopping for a car are looking for a vehicle that fits their budget and lifestyle. Drivers who are obese face an additional criterion that can throw a wrench in the works – they also need a car that fits their body type. While not a significant consideration for some drivers, there are others for whom that is a very real issue. Unfortunately, with the auto industry's recent push toward smaller cars, the issue is more relevant now than ever before. In fact, according to AOL Autos, the percentage of the obese population in the U.S. is expected to climb to 43 percent by 2018. This is an issue not just for the affected drivers, but for the auto industry as well. The recent industry focus on smaller, lighter weight and more fuel-efficient vehicles finds manufacturers making more cars that fewer of their potential customers are comfortable driving. Recent study data has revealed that, unfortunately, obese drivers are more likely to face health and safety complications in the event of an accident than other drivers. A study reported by Medical News Today found that drivers who were medically classified as obese were found to be up to 80 percent more likely to die in a car crash than smaller motorists. Whether this is due to additional health concerns commonly associated with the condition or as a result of standard car safety features like airbags and seatbelts not being properly fitted for larger frames, the statistics are alarming. Of course, that's not to say that obese drivers are at greater risk of having an accident in the first place – safe driving practices are learned, and are in no way dependent on superficial physical attributes such as size. But the safety risks such drivers face is a problem that the auto industry needs to work toward solving. If you're looking for a used car, head to NJ State Auto Auction. You'll find hundreds of Carfax-certified cars on the lot, and an in-house finance team ready to help you finance a high-quality used vehicle. It isn't just drivers who are interested in doing everything they can to get the most out of their gas tanks. In recent years, several car manufacturers have been focusing their efforts on fuel efficiency for some of their newer models. From experimenting with aerodynamic design to lighter-weight, space-age body materials to diving deeper into hybrid engine design, car engineers have made better gas mileage a priority, a goal which will undoubtedly lead to benefits for those driving the cars as well. Looking at some of the design trends engineers have been experimenting with recently, many auto workshops are starting to resemble science fiction sets. Edmunds reported that engineers have started focusing on body designs aimed at making cars sleeker and, ultimately, more fuel efficient. Aerodynamic design is not a new thing in the auto world, as anyone who's been to a Formula One track can attest. However, whereas the focus of previous aerodynamic engineering was to make cars faster, engineers are now looking to make them more fuel efficient. The result is a less drastic visual divergence from standard auto bodies, but while you may not notice the difference on the lot, your wallet sure will when it's time to fill up your tank. In addition to modifying the shape of cars, many engineers are doing everything they can to make them lighter. The Tennessean reported that automakers industrywide are experimenting with lighter materials such as carbon fiber and aluminum for their car bodies. Hybrid cars have been around in some form or other since 1999, and they're only growing in prevalence in the auto market. According to The Chicago Tribune, the number of hybrid models has grown in that time from two to 71 in just 15 years. Drivers have been somewhat reluctant to hop aboard the hybrid bandwagon, as the newer technology comes at a price – hybrid cars in general cost a considerable amount more than non-hybrid models in comparable classes. However, experts are finding that those willing to invest may find themselves reaping much longer-term financial savings in the form of fuel efficiency. A study conducted by Vincentric found that while hybrids cost more, just five years of hybrid ownership can save over $3,000 in fuel costs. 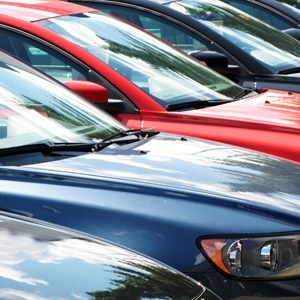 If you're shopping for a used car, head to NJ State Auto Auction. There are hundreds of Carfax-certified cars on the lot, and an in-house finance team on hand to help you afford a high-quality used car, truck or van. Our society loves cars and technology fairly equally, and it only makes sense that we'd eventually get around to putting the two together. Newer cars have hit the road with virtually no limit to the kind and amount of gadgets in, on and around them. For drivers looking to keep their cost of ownership down by keeping it simple, however, it may seem impossible to find a ride that just covers the basics with no bells and whistles. Fortunately, if you know what to look for, it's possible to find a car that is cost-effective and reliable. Anybody who's spent any amount of time shopping for a car will know that all-wheel drive is an oft-touted benefit that seems more and more common these days. Many are tempted to go that route – after all, all-wheel drive sounds like a great thing to have, right? However, for many, especially those who restrict their driving to around town, all-wheel drive is more of an unnecessary expense than a useful addition. All-wheel drive means that your car is heavier than it would be if it were a two-wheel drive model, meaning that you're going to take a hit to fuel efficiency. Specifically for around-town, stop-and-go driving, the extra cash you'll be spending at the pump outweighs the benefits of the feature. Front- or rear-wheel drive cars will leave you with more than sufficient power and acceleration without leaving you with a higher gas bill. According to Edmunds, your tires are far more important for traction than your drivetrain anyway. Finding a base model car without a slew of add-ons and features can be difficult, but there are things you can do to keep your budget happy. The used car market is a great resource, as buyers are often able to find models that are only a few years old and thus have limited mileage but also limited gadgetry. One suggestion is to start shopping close to the end of a cycle for a given make and model. When new-cycle cars are released, they frequently receive significant technology upgrades. Find out when your favored brand releases its new models, and make a point to take a look at the influx of used cars you'll see popping up. For your car-buying needs, head to NJ State Auto Auction. You'll find hundreds of Carfax-certified cars on the lot, and a dedicated in-house finance team to help make your dream of car ownership affordable. An epidemic has hit the streets of New Jersey, wreaking havoc on cars and their drivers with reckless abandon. 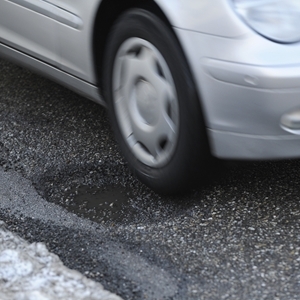 According to one car insurance company, potholes are doing far more damage to cars than in previous years. More than just bumps in the road, these hazards can create serious maintenance and safety problems for careless drivers. If you want to keep your ride out of harm's way, it will require some knowledge, preparation and maintenance. As a product of extreme winter temperatures and icy conditions, you can't avoid potholes from cropping up, but you can remain extra vigilant in the months following the thaw to make sure you don't run into them. Keeping your eyes on the road and scanning the lane ahead of you can help you spot these sneaky tire traps with enough time to try and safely avoid them. Be extra wary of large puddles, as they tend to be favorite hiding places for potholes and can catch unsuspecting drivers off guard. If a meeting between you and a pothole seems inevitable, react accordingly. You'll want to slow down, but be careful not to slam on the brakes – doing so means you may hit the pothole when your suspension is dropped, which drastically increases the chance of something getting knocked out of alignment. You don't have to get caught flat-footed by potholes. There are things you can do to help steel your wheels against potential pothole damage, as well as check after such an encounter. One of the biggest weapons in your arsenal is proper tire pressure. Those four wheels are taking the brunt of the impact every time you hit a divot, so keeping them in good shape is crucial for avoiding costly damage to your car. Underinflated tires can damage not only the tires themselves, but can also cause them to rebound harshly against your suspension, potentially knocking that out of whack as well, according to a press release from Plymouth Rock Assurance. Your car's suspension is another favored target of devious potholes, and oftentimes it can be more difficult and less immediate to notice if anything has been knocked out of alignment. If you hit a particularly nasty bump, it may be a good idea to get your suspension checked, especially if you notice your car pulling to one side. If you think your car may need repairs, make an appointment with the NJ State Auto Auction Total Car Care Center. The skilled mechanics are on hand to help keep your car running smoothly. If you're a young driver, you've likely spent lots of time thinking about your perfect car. 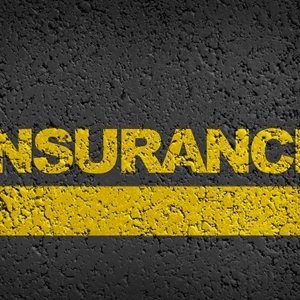 What you may not have spent as much time thinking about is your insurance options once you have your car. Navigating labyrinthine insurance paperwork can kill the buzz of a car purchase for new drivers quickly, and the hefty insurance bill even more so. 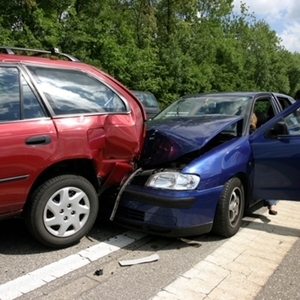 Unfortunately, teen drivers tend to feel the heavy end of the hammer when it comes to insurance premiums. The good news is, there are some tips for keeping your insurance costs down as a younger motorist. The easiest and most basic way to keep your insurance bill down is to choose a car that doesn't come with a conventionally high cost to insure. Some of the factors are fairly obvious – for example, more expensive cars, and cars with lower reliability and safety ratings, tend to carry a higher price tag when it comes to insurance. But other factors can play a role as well, such as how likely your car is to be stolen – a statistic that the National Insurance Crime Bureau tracks on its list of Hot Wheels, Edmunds reported. A little time spent in a classroom can go a long way in saving money on your insurance bill. According to Edmunds, taking an official driver's ed course can save you up to 10 percent on your insurance premiums versus going it alone. Once you have your license, you can continue to trade study time for insurance discounts. Many providers offer money off to drivers who attend save driving courses, and there are several that target teens and younger drivers specifically. Even studying hard at school can pay off for you. According to Kiplinger, some insurance providers offer discounts to student drivers who keep their grades up above a B average. It's true that insurance is buying yourself peace of mind, but it's also important to be realistic and economical to avoid paying through the nose for unnecessary services. Kiplinger recommended doing away with more advanced coverage options such as collision coverage – many older cars are worth less from insurance than what you'd pay for the premium anyway. If you're shopping for a used car, head to NJ State Auto Auction. You'll find hundreds of Carfax-certified cars, as well as an in-house finance team dedicated to helping you finance a high quality used car. First-time car buyers have a lot to be excited about. A first car can be a powerful symbol of freedom, independence and authority, and a quality vehicle can stay with you for years to come. That said, it's not an undertaking that should be approached lightly. When shopping for your first ride, understand what you should be looking for in a car, but also what responsibilities await you after you've signed your contract so you can keep your car in great condition for longer. The important thing when shopping for a car is to choose one that is well-suited to your lifestyle. 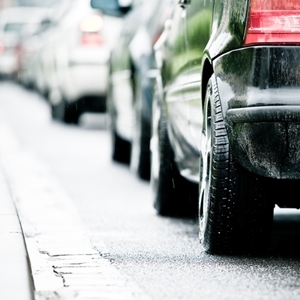 Ask yourself what you'll primarily be using your car for – do you commute to and from work? Is it going to be for longer road trips back home? Are you just tired of taking the bus to buy groceries? Your answer to these questions should inform your shopping. If you're going to be putting a lot of miles on your car, you'll want one with a higher reliability rating so you don't have to worry about repairs popping up at inconvenient times. For trips around town, make sure you pay attention to fuel economy, as the frequent stop-and-go traffic of city driving can deal a hit to your gas budget. Of course, it's not enough to just hop in your newly purchased car and drive off into the sunset. If you want to best avoid problems down the road, there are a few basic maintenance tips you should brush up on, according to The Chicago Tribune. Everyone knows at least one person who has one of the notorious check engine light stories – someone who's been cruising with that little orange light on for months. It may seem innocuous, but paying attention to your car's lights, signals and alerts is crucial for keeping it well maintained. Even if you're not a gearhead, pop your hood and take a look at some of the more basic indicators, such as your oil and other fluids. You don't have to be performing any of this maintenance yourself; at least knowing where everything is may help you to identify problems more easily when and if they arise, or at the very least make it easier to talk to the mechanic about what's going wrong. For your used car needs, head to NJ State Auto Auction. You'll find hundreds of Carfax-certified cars on the lot, and a dedicated in-house finance team to help you afford a high quality used car. The NJ State Auto Auction Total Car Care Center is a valuable resource for keeping your car running smoothly. We form close relationships with our cars, many of us depending on them to fulfill basic parts of our daily lives. For those drivers who commute to and from their jobs every day, their rides are more than a convenience, they are a key part of their livelihood. Unfortunately, the extra miles a daily commute racks up can slowly but surely push a car into early retirement, a hassle that is as expensive as it is inconvenient. If you're looking for a car primarily to carry you to and from work, here are a few things to keep in mind to help you keep your car happier longer. It's an oldie but a goodie – carpooling has been a fixture of many commuters' lives for a long time, and with good reason. The fewer miles you put on your car, the longer it will last. Not to mention carpooling saves tremendous amounts of money that would be spent on gas for everyone taking part. In fact, Bank Rate reported that a Seattle-area survey found vanpools to be 61 percent cheaper than driving alone, and even 28 percent cheaper than public transit, giving commuters the flexibility of their own transportation without the associated costs. Another hidden benefit of carpools? Many highways offer special high-occupancy vehicle lanes specifically for carpools, so not only can you save money, but in some cases you can also cut down on irritating traffic jams. If you're looking to buy a car for your commute, you're in a unique position, as you have the ability to plan right from the get-go. One main cash sink most felt by consumers is the gas budget, so choosing a ride based on fuel efficiency can help ease the pain your wallet would otherwise feel thanks to a daily commute. CNBC outlined some models known for being good on gas, such as the Ford Focus. Chevrolet also has a selection of gas-conscious models, including the Volt – an electric car using no gas at all. As a bonus, such cars also tend to see better maintenance and reliability ratings, saving you money across a variety of channels. When the time comes to shop for a used car, head to NJ State Auto Auction. You'll find hundreds of Carfax-certified cars on the lot, and an in-house finance department dedicated to helping you afford the used car, truck or van that's right for you. 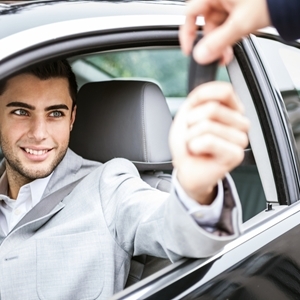 For many motorists, leasing a car is an attractive alternative to buying. Leases run for fixed periods of time, and drivers don't have to worry about depreciation and negotiating trade-in value. Best of all, you're left with a variety of options when your lease is up, giving you the flexibility to decide what will best fit your current lifestyle and circumstances. Understanding what choices you have as the end of your lease approaches is important to make sure you can make an informed decision about what to do with your car. Getting ready for the end of a lease is something of a process. You'll need to start thinking about it a couple of months ahead of time, as almost all dealers require cars to undergo a lease inspection. Any damage, maintenance needs or in some cases mileage overages may affect what your options are and how much you end up paying. Edmunds suggested having your car washed, cleaned and even detailed. It won't cover up any major flaws, but it may help demonstrate that you've been taking good care of the car. Also make sure to have all the administrative odds and ends in order, such as extra sets of keys, which are a commonly forgotten item. The big question is: Are you going to extend your lease, return the car or purchase it from the dealer? There is no hard and fast answer as to what the best course of action is. LeaseGuide recommended taking a few factors into account, such as the car's value in comparison to how much it would cost to buy it outright – if it's depreciated too much over the course of the lease, buying it may just be setting you up to lose out on later trade-in. 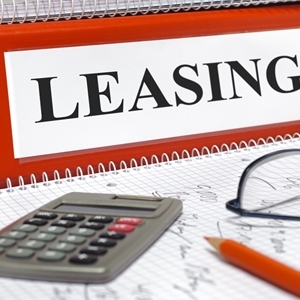 Sometimes circumstances arise and you may find yourself needing to get out of your lease early. While not impossible, it's also not simple and should not be undertaken lightly, as it can have implications on your credit score, according to LeaseGuide. Most lease contracts will include a clause covering such an occasion, but it's a good idea to sit down with your dealer anyway to find the most amicable solution. In your hunt for a used car, head to NJ State Auto Auction. You'll find hundreds of Carfax-certified cars on the lot, and an in-house finance team to help you make owning or leasing a used car, truck or van affordable. It's an inevitable fact of life that all good things must come to an end, and your relationship with your car is no different. Whether due to age, maintenance, cost or an infinite host of other factors, eventually it's time for you and your car to part ways. Of course, you're going to want to do everything you can to make sure that you get the most out of your car when it comes time to see it off, either by trading it in or opting to sell it yourself. Here are a few things to keep in mind. 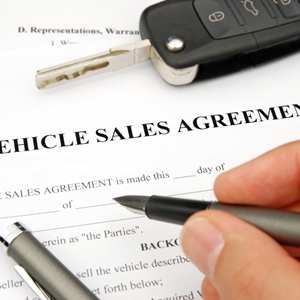 There are lots of theories on when it's OK to sell a used car and when it isn't. Depending on whom you ask, you'll get different age and mileage limits that may differ wildly. Edmunds breaks out the general lifecycle of most cars into a few mileage-based landmarks, and while not a golden rule, such information can help you get a sense of what you may be in for when it's time to sell. For example, selling at or around 30,000 miles is preferable, as most cars will still be covered by a manufacturer's warranty and will likely have yet to see their first major service visit. Even at 100,000 miles, which Edmunds bills as the third landmark in a car's life, your car may still be in great shape, though you may have some extra work to do to fight the old perception that a well-traveled a car isn't worth buying. Once you've established that you're going to sell your car, it's time to take a couple steps to help your cause. If you're listing the car yourself, you'll definitely want to take pictures that are flattering to your vehicle, but also honest. Edmunds recommends photographing your car during what is called the golden hour – the time just before the sun rises or sets – to create a warm backdrop and really bring out your car's colors. You'll also need to have some sort of idea what your car is worth, especially if you're planning on selling it yourself. This can be like trying to hit a moving target, but fortunately there are tools that can help. Kelley Blue Book provides an excellent online resource for estimating the value of a used car based on year, make, model, mileage, features and more. Whether you're looking to trade in for another vehicle or just offload your current one, head to NJ State Auto Auction. There are hundreds of Carfax-certified cars on the lot, and an in-house finance team ready to help you get approved for a loan. One of the biggest ways motorists try and cut back on car spending is to make the most of their gas mileage. Those trips to the pump can really add up, especially with fuel prices on the rise in recent years. 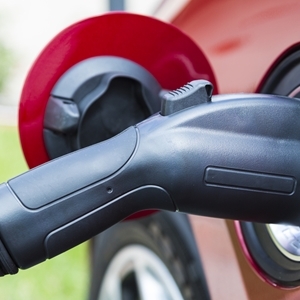 Fortunately, you don't have to have a hybrid or an electric car to stretch your ride's gas usage. In fact, there are a few tips you can look to that can end up saving you in the long run when it comes to your gas budget. We all find ourselves in a hurry sometimes, rushing to get to the doctor's office or to work or to soccer practice on time. Many drivers may try and compensate by making up the lost time on their speedometer. But not only is edging over the speed limit in the name of haste unsafe, it's also taking money right out of your gas tank. According to Edmunds, drivers can expect that on average, every 5 mph they go over 60 mpg is adding around 31 cents to the cost of every gallon they pump. In contrast, keeping your speed under control can save you anywhere from 25 to 89 cents per gallon. These amounts may not seem like much on their own, but considering how many miles your car covers on a single tank of gas, it can add up very quickly. 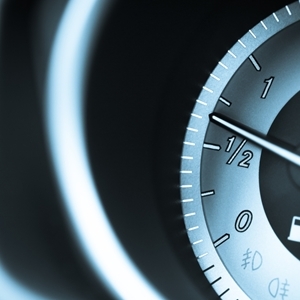 Not only does driving fast take a toll on your fuel economy, but so does driving erratically. Drivers who are anxious, stressed, angry or even just running late tend to accelerate quickly only to end up having to slam on the brakes after a few short feet, and this behavior can really eat into your gas tank. Especially if you find yourself on the highway more often than not, this type of driving can reduce your fuel efficiency by up to a full 33 percent, meaning you'll find yourself heading back to the pump that much more often and, ultimately, spending that much more money. If you're looking for a used car, consider heading to NJ State Auto Auction. You'll find hundreds of Carfax-certified cars on the lot, and an in-house finance team dedicated to helping you make sure you can afford the used car, truck or van that's right for you. One criterion for purchasing a car that may get overlooked until it comes time to sit down for the test drive is whether the car in question has an automatic or a manual transmission. While far more widespread in previous years, manual transmissions have been admittedly phased out somewhat in the majority of the consumer car market. However, especially when looking at used cars, being prepared to encounter a manual transmission and knowing how to drive stick can still be very valuable. You may be asking yourself if you really need to learn how to drive stick. After all, cars with manual transmissions are much less common today than they were even a decade ago. In fact, according to CNN, roughly 82 percent of cars made in the U.S. featured automatic transmissions as far back as the '50s. That said, stick shifts have never really gone away, and have in fact seen something of a minor jump recently. 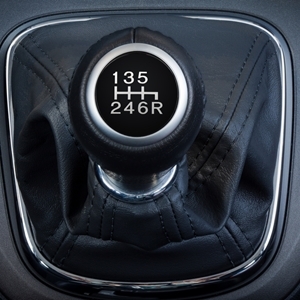 In 2012, 7 percent of auto sales were attributed to manual transmissions, up from 4 percent the previous year. Even if you're not planning on buying a car with a manual transmission yourself, knowing how to drive stick should still be a skill you at least get the basics of. After all, you never know when you may encounter a manual rental car, or even need to take over for an incapacitated driver in an emergency situation. If you're seriously considering going down the manual transmission route, make sure you arm yourself with information on some of the more common myths. According to Edmunds, some of the biggest draws for drivers of stick-shift cars are the perception that they save on gas or are generally less expensive up front than their automatic counterparts. Bad news for those looking to bump a couple bucks off their final bill, those misconceptions simply aren't true. A skilled stick driver can save gas with deft shifting, but those just starting out will likely see better fuel efficiency from an automatic or a hybrid. Similarly, while manual transmission cars tend to cost less than the automatic version of the same model, this isn't always the case and certainly shouldn't be the deciding factor in your purchase decision. When shopping for a used car, head to NJ State Auto Auction. You'll find hundreds of Carfax-certified cars on the lot, and a dedicated finance team ready to help make your dream used vehicle an affordable reality. Money is tight – can I still finance a car? With the economy being in something of a state of flux the past few years, it's understandable that money may be tight for a lot of people looking to make a car purchase. Especially for those who have had issues with credit or even bankruptcy in the past, it's easy for the trip to the dealership to be a source of anxiety rather than one of excitement. 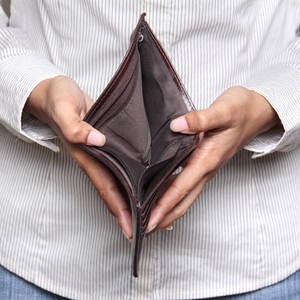 Fortunately, buying a car doesn't have to be as impossible as your financial situation may make it out to be. As long as you keep a few key points in mind, car ownership can be a very real part of your future. At the core of the car buying experience is the car loan, and if you're coming from a position of less-than-stellar credit, this is sure to be a source of stress for you. Fortunately, bad credit doesn't have to tank your chances at financing a car. According to Edmunds, it's possible to get approved for a loan with bad credit, but it may impact your interest rate. In general, it's a good idea to get your loan paid off as quickly as possible. Longer-term loans may result in reduced monthly payments, but typically also go hand-in-hand with higher interest rates, meaning you're actually paying more overall in the long run. Also, the longer you hold on to your car, the less it will be worth when it comes time to trade it in for another one. It happens sometimes. Tight economic times can leave even the most fastidious of us on a shoestring budget, and occasionally the worst can happen and loan repayments may be missed. Though these instances may seem like catastrophes, it's important to keep them in perspective and understand that it's not the end of the world. AutoTrader was quick to counsel that missed payments aren't synonymous with instant repossession. In fact, dealers want to avoid having to repossess a car almost as much as you do, since that represents a significant forfeiture of their potential money from your car. In fact, many lenders are more than willing to work with drivers to establish a solution to the missed payment problem. Whether adjusting the due date of the payment, refinancing the loan or another more creative solution, as long as you keep the lines of communication open, you should be all right. If you're looking to buy a used car, head to NJ State Auto Auction. You'll find hundreds of Carfax-certified cars on the lot, and an in-house finance team ready to help get you approved for a loan. Posted in General Auto News | Comments Off on Money is tight – can I still finance a car? Once people set their heart on a car they want to buy, the last thing they want to think about is more paperwork, especially if it can lead to more money being spent. However, while warranties may seem like "yet another expense" when you sign your contract, they're an essential part of saving yourself some serious cash down the road. Before you drive off the lot, make sure you understand some warranty basics so you can shop prepared. Perhaps the first and most basic question to ask when considering warranties is, simply, if you need one at all. While in general a good idea, there are a few considerations that should receive special attention before making your decision. Warranties may add expense, but they also offer peace of mind, and with a huge investment like a car that may more than justify the cost. Edmunds suggested considering your own repair history with cars; if you tend to be a hard driver or find yourself in shops often, a warranty may be a no-brainer. Something else to consider is which type of coverage you need. 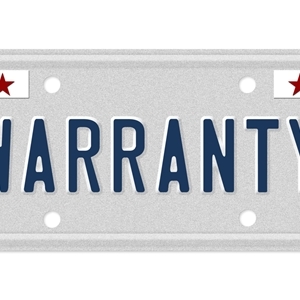 A basic warranty will cover different things than a powertrain warranty, for example. Research can help you here; knowing what your car model's most common maintenance pitfalls are can help you decide which warranty coverage you'll need and what you can save money on. Once you've made the decision to purchase a warranty for your car, you'll need to make sure that you don't do anything that could inadvertently void your warranty, rendering it useless and you that much poorer. As a general rule, tinkering with your car in any way that is not related to direct maintenance is a giant no-no. According to Edmunds, fiddling with the odometer to change the displayed mileage or adding in after-market modifications are actions that can end a warranty. In a similar vein, any misuse of your car – the most popular one being street racing – is grounds to nix your coverage. Another thing to be mindful of is keeping up with your car's scheduled maintenance. In many cases, repairs that could have been prevented through regular maintenance fall outside the realm of your warranty's coverage, so spend a bit more today to get your oil changed and save a lot later on costly engine repairs. If your car needs repairs, make an appointment with the NJ State Auto Auction Total Car Care Center. 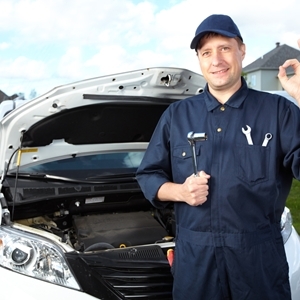 The knowledgeable team of mechanics on hand will work to keep your vehicle running smoothly. Go outside and pop your trunk. It's all right, I'll wait. Was it filled with old camping equipment? A distressing number of old shoes? A single glove? Those chairs that come in bags – you know the ones? Unfortunately, all the space being taken up by junk in your trunk is space that isn't being used to store more useful items. With all the time you spend in your car, and all the stress it goes through, you need to make sure you're prepared to deal with a variety of potential emergency situations, so make sure your trunk is packed with some basic essentials. Just because you may not be an auto mechanic that doesn't mean you shouldn't have some basic tools on hand for whatever minor maintenance challenges crop up. Even if the world of auto repair is a mysterious black box of fear and complicated machinery, you can still benefit from being prepared. A spare tire and jumper cables are a must, according to MSN Autos. Even if you don't know how to use these tools, having them on hand will enable others to help you more effectively in an emergency. A tire repair kit consisting of an inflater and sealer are good things to keep on hand even with a spare tire. A pressure gauge is a good idea for making sure your tires don't get too deflated and compromise performance and safety. And of course, what DIY maintenance kit would be complete without the ubiquitous duct tape? 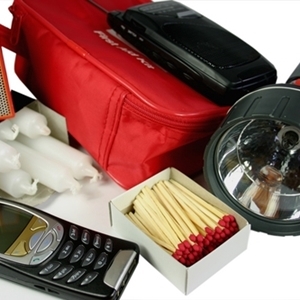 In the unlikely and unfortunate event of a medical emergency or accident, having the right tools on hand is essential. Nobody's expecting you to turn your car into St. John's Ambulance but a basic first-aid kit can provide you with the resources to contain a potentially disastrous situation until professional help arrives. A flashlight should be a car kit mainstay, as well as orange traffic pylons or flares so that you can keep a safety zone around yourself if you need to pull off to the side of the road. If you're in the market for a car, head to NJ State Auto Auction. You'll find hundreds of Carfax-certified cars on the lot, a knowledgeable and helpful sales staff and an in-house finance team ready to help you finance the used vehicle of your dreams. You're driving home from work and you feel the familiar buzz of your phone in your pocket. At this point reaching for your phone has become almost an instinctive reaction. But you should think twice before you text your friends to catch you up on the latest "Game of Thrones" spoilers while you wait at a red light. Distracted driving is becoming a serious epidemic. Not not only is it dangerous to you and the drivers you share the road with, but with several states cracking down on the practice lately, it can also lead to financial and legal trouble for you as well. In the age of smartphones, texting has become more common for a lot of people than tying their shoes. Unfortunately, this often translates into drivers sending and receiving texts while they're behind the wheel. According to TextingAndDrivingSafety.com, sending a text, tweeting or updating a Facebook post while you're in the driver's seat is one of the most dangerous things you can do. In fact, texting while driving is six times more likely to cause an accident than driving while drunk, according to the data. Picking up your phone to text makes you 23 times as likely to crash than not texting at all. 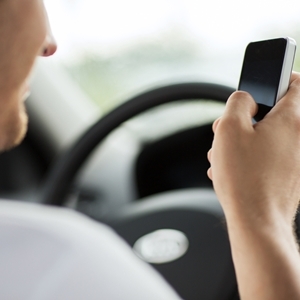 Many states are starting to beef up their no-texting policies. In New Jersey, for example, a third offense nets you three demerit points on your license. Not only are you looking at a costly ticket and possible license suspension, but according to Cars.com, such penalties can also hike up your insurance premiums. It's a common misconception that hands-free and automated phone systems are safer than their manual counterparts because you're able to keep your hands at 10-and-2. "While many drivers honestly believe they are making the safe choice by using a hands-free device, it's just not true," David Teater of the National Safety Council told the source. Your hands may be free, but the real issue is your attention. Attention you're giving to the conversation is focus that you're taking away from driving, watching the road, paying attention to cars around you and looking out for potential hazards. When the time comes to purchase a car, head to NJ State Auto Auction. There are hundreds of Carfax-certified cars on the lot, and the in-house finance team is on hand to help you finance your favorite used car, truck or van.